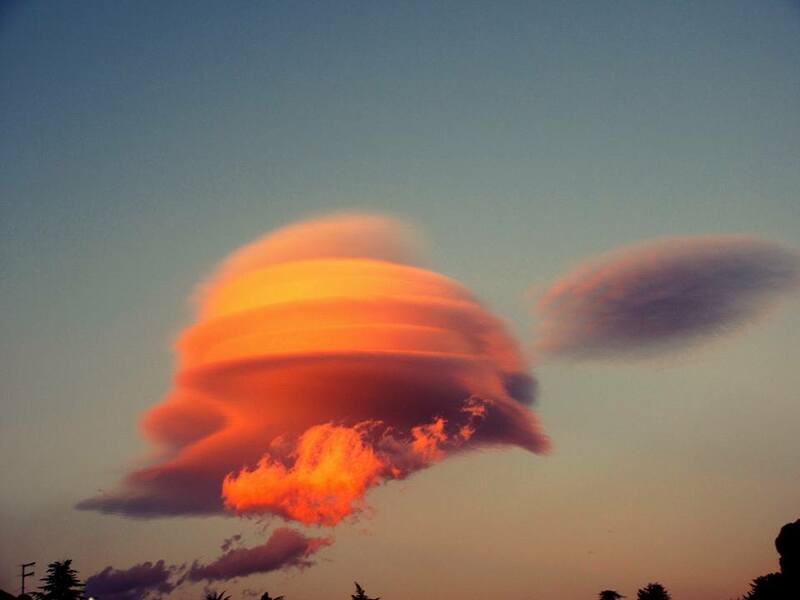 Dramatic lenticular clouds have been offered as an explanation for some UFO sightings. Well looking at this one in the sky of Sicily I don’t blame ufologists. 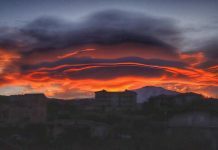 Mario Pappalardo captured these insane lenticular clouds at sunset on January 5, 2016 and published them on his Facebook page. 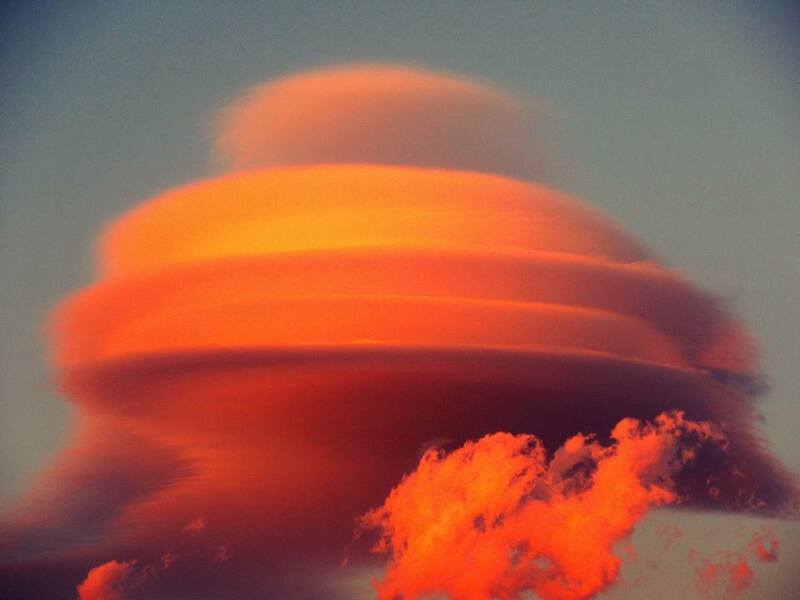 Lenticular clouds in scientific jargon also known as Altocumulus lenticularis are stationary lens-shaped clouds that form in the troposphere. 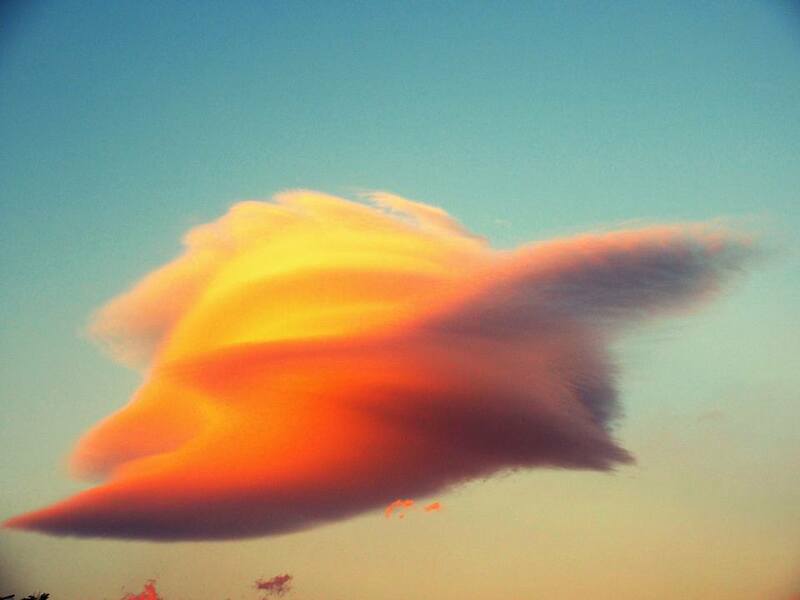 This cloud formation is most regularly found near mountainous areas and can appear singular or stacked like pancakes. 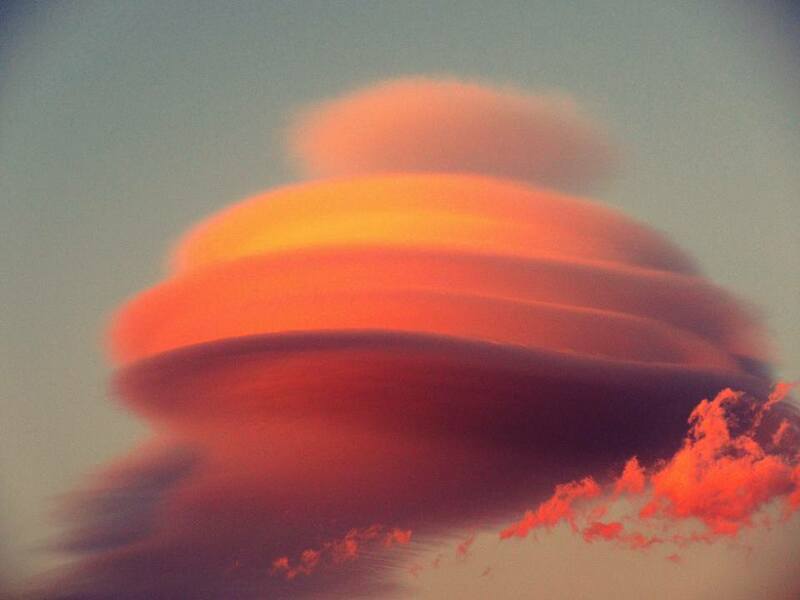 Lenticular clouds are formed when air moves over mountains, cooling sufficiently for condensation to take place. 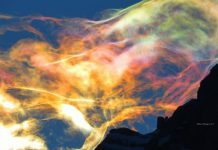 They are continually reformed over the same location by new air rising up and over a mountain, condensing and producing the clouds. 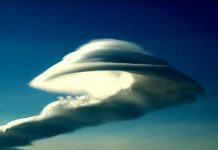 The UFO cloud was observed by another person driving on a highway. 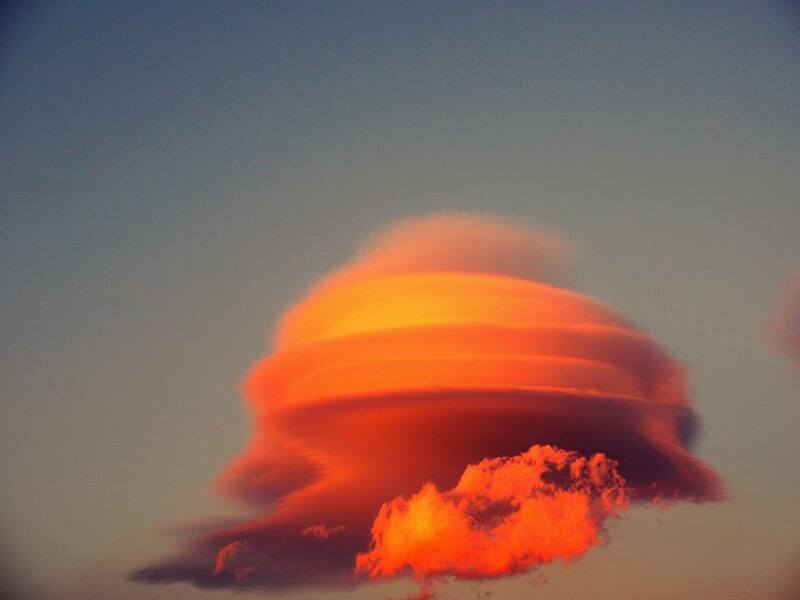 I bet this lenticular cloud photographed by Mario Pappalardo were floating near Mount Etna.